I lost my mom to cancer three years ago. It was a challenging experience. That’s why when I heard about Walk With Sally, I knew I wanted to be there for a child who had experienced that kind of loss. Ten-year-old Avery also lost a loved one to cancer – his dad – and has been my match for almost a year now! We love to talk engineering and have fun together at Walk With Sally events. 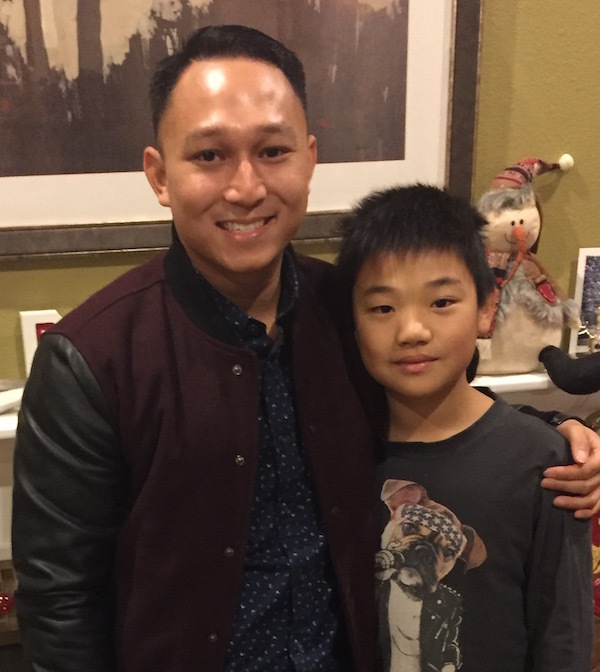 And while we’re both feeling a little down during the holidays because we miss our loved ones, I feel great about supporting Avery and noticed he’s started to open up to me more about his dad. Support Walk With Sally with a Gift of Friendship this Holiday Season! Dedicate your gift in honor or memory of a loved one! At checkout, simply choose an e-card and we’ll notify your recipient of your donation in their honor. This entry was posted in Impact Stories and tagged Donation, Faces of Sally, friendship, Jeric & Avery, Make A Gift, Mentorship, Video, Year End.